Part of the Immigrant Rights Organizing Committee of the Boston Teachers Union. Week of Action Is Coming Up! 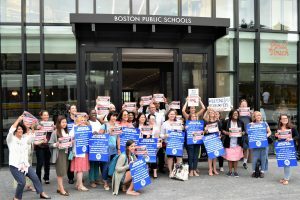 BTU Educators stand with protecting DACA (Deferred Action for Childhood Arrivals) on the 5th anniversary of its creation at the BPS EL Symposium, August 15th, 2017. #DefendDACA #HeretoStay. 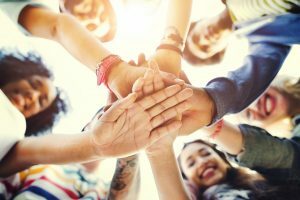 Join us for our Sanctuary Schools Week of Action! For a full list of suggested workshops, lesson plans and flyers please click here.